This is a puddle of light water (formed by mixing fresh Fraser water with salt water) that floats on top of the more saline (and more dense) Strait of Georgia water. It is only a few meters thick (whereas the Strait is 100 metres deep or more), but it is the part of the ocean that is important to us because we boat around in the upper few meters of the ocean. We known, in a general way, that this "puddle" moves around because of the tide and winds, but also can break up into swirls and smaller eddies on its own. Exactly how fast it moves under a wind of a particular speed, and how and what causes it to break up are interesting scientific questions. Combined satellite image and surface current map. The light region denotes the plume, and it corresponds to a region sediment rich, reflective, low salinity water. The red line shows the track of the BC Ferries M/V Queen of Alberni. But before getting to the science, we first have to know whether this surface radar gives us a good estimate of surface currents. Does it work? So, we have to make other measurements to test out measurements! During this cruise, I am deploying 'surface drifters'. These are small floats, attached to a 'drogue' to make sure they move with the speed of the water. Positions are tracked using GPS and reported back to us using a satellite phone system. During times when the Tully isn't being used for ROV or other ONC operations (and all the ONC people are fast asleep); I deploy these drifters. Later, after they drift away in different directions, they are picked up by our own boat, the Kraken, which can work in the Strait only during daylight hours. This way I can get some longer deployments without taking a large chance of losing these instruments. After a deployment of 10 hours or so, the Kraken finds them and returns them to the Tully, so I can deploy them again the next night. 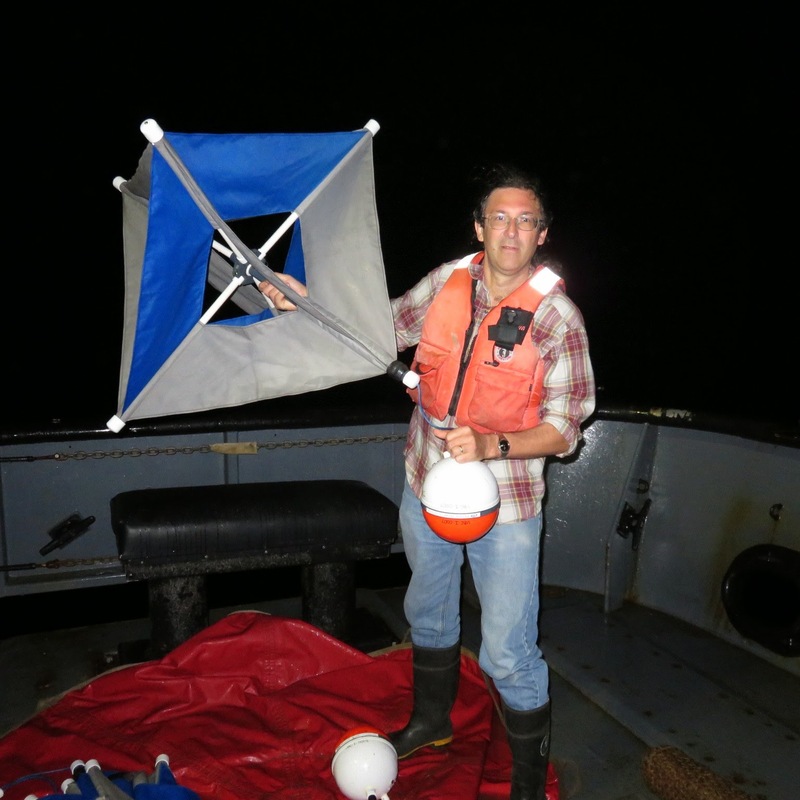 Dr. Rich Pawlowicz (UBC) holds a drifter used in the CODAR calibration experiment. 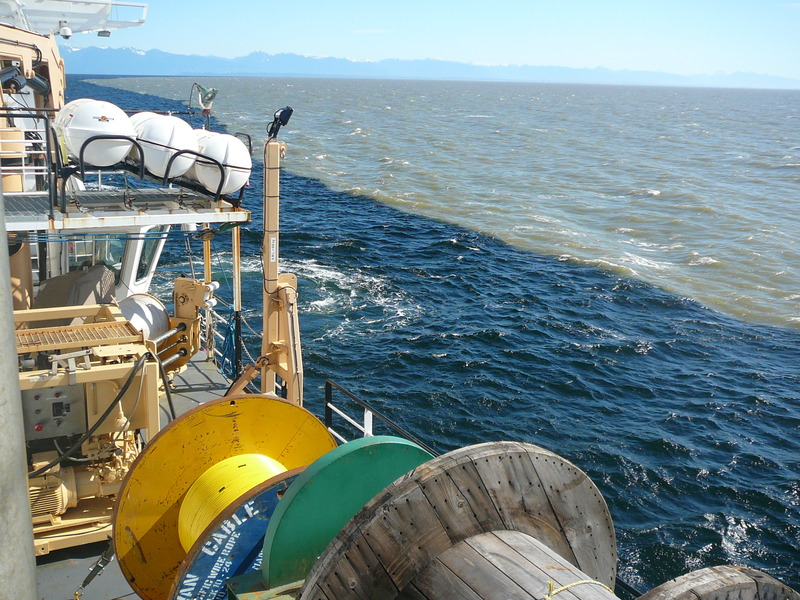 The drifter data from this cruise, along with drifter data from other deployments before and after the cruise, will be used by Postdoc Mark Halverson (UBC) to quantify the accuracy of the radar system, and will be used as a test for several numerical models of the Strait being created by other scientists in Vancouver and Halifax. UBC Research Vessel Kraken was used to collect drifters daily and bring them back to CCGS Tully for re-deployment at night. 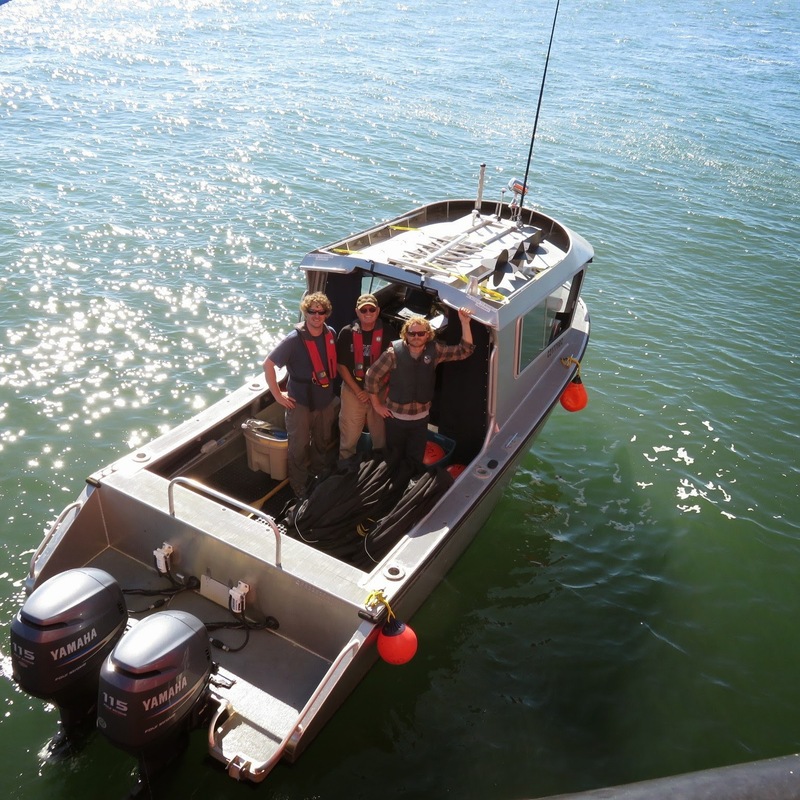 In the image L-R: Chris Payne (Marine Technician, UBC), Wayne Lutz (writer) and Mark Halverson (Postdoc, UBC).